Conferences are a content bonanza if you have the know how. Here are 15+ tips to Maximize Your Conference Content to distribute and create awesome content. 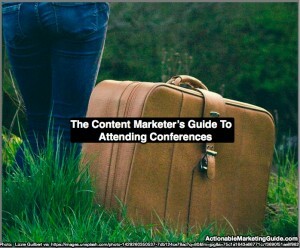 The post Content Marketer’s Guide To Attending Conferences appeared first on Heidi Cohen.